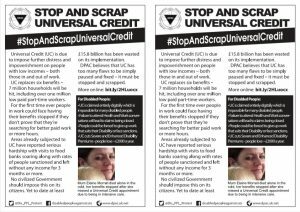 This Wednesday 18 April join DPAC, Single Mothers’ Self-Defence and WinVisible to call on the Government to #StopAndScrap Universal Credit. 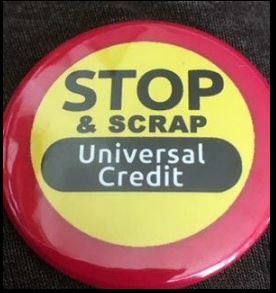 London Protest – meet for 11am outside the visitor’s entrance to House of Commons. You can see details of local actions around the country on this page. Are those badges for sale? If so where can I buy one please? I thought it was going to be the 25th april????????? ?